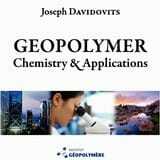 You will find different types of information: link to other people and institutions, online shops, buy proceedings and books on geopolymers, legal terms, etc. The Geopolymer Institute manage an online shop where you can buy exclusive geopolymer product. Learn how you can use elements from this website, if you can freely use the word geopolymer, about trademarks, registered data, privacy statement, cookies, etc. Here you find the location of the Geopolymer Institute where we organize workshops. See the statistics of the files we propose to download freely, and how many people have downloaded them. If you wish to take advantage of this service, please read the Library section . All the pages are listed in this sitemap file .